SysAdminDay only happens once a year. To get their geeks to remember Datayard, we made the invite something cube worthy- something SysAdmins could relate too. 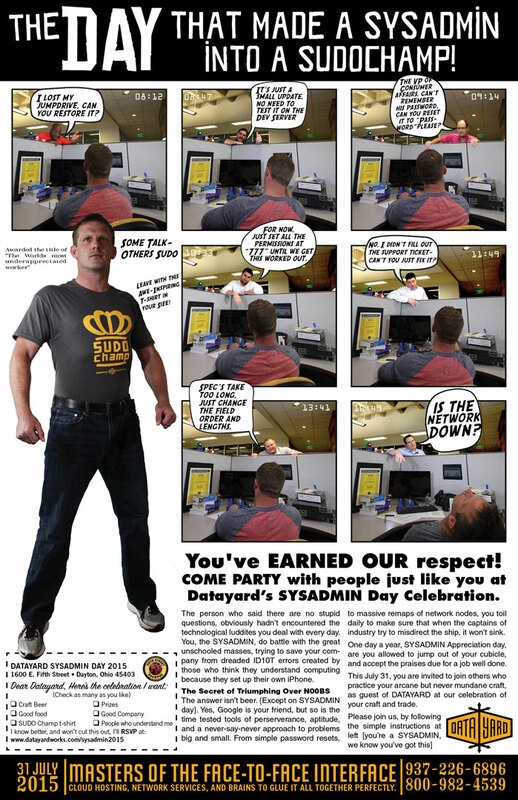 A takeoff on the old Charles Atlas ads, we promised a free T-shirt- for SUDO Champs. (sudo is a command – “Super Do” that sysadmins know well).